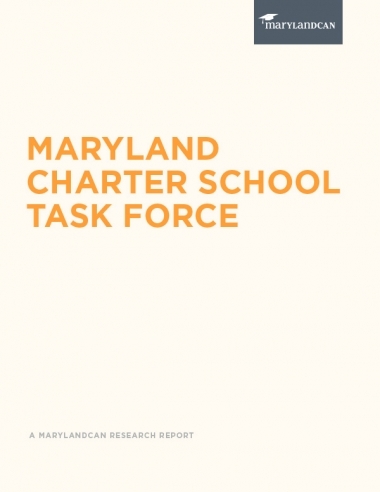 As chair of the Maryland Charter School Task Force, it is my pleasure to present you with the enclosed report, which outlines ways that Maryland’s charter schools might be made more effective and accountable to the communities they serve. While we celebrate Maryland’s distinction as the “#1 School System in America” for four years in a row, we also acknowledge that we have a long way to go toward ensuring that all Marylanders have access to a quality education. Maryland’s growing achievement gap between black and white students in my home district of Baltimore remains of great concern for me and my colleagues in the General Assembly. As we explore ways to give every child a chance of success, we must study all of our public education options, including charter schools. 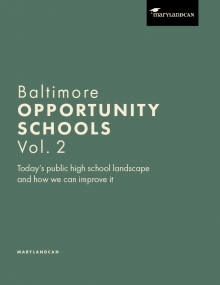 In Baltimore, we are seeing progress among both charter schools and traditional schools. However, Maryland’s 2003 charter school law, which was ranked near the bottom of states in a recent national survey, is in need of reform. This past summer, a diverse group of charter school operators, school system representatives, public officials, and others formed a task force to compile information, study best practices, and develop recommendations to the legislative and executive branches. 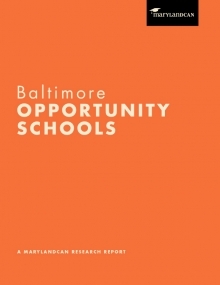 This report is the result of spirited conversations among dedicated professionals comprising a range of opinions about charter schools While they may not have reached consensus on every point, their thoughtful participation in the Charter School Task Force represents a step forward in ensuring that all parents have the option to send their children to highquality schools, whether traditional or charter. I welcome your feedback to the enclosed findings and recommendations. I look forward to working with you to strengthen the state’s charter school law and improving public education options for all Maryland families.